Our E-fax archiving gives you the same convenience you have from email to the act of sending a free online fax. In the past you had to print faxes and file them in order to have record of the correspondence. Now FaxFX automatically archives all your faxes, keeping them safe and organized by subject and date. This makes it especially easy to comply with the SARS act concerning the storage of documents. This act states that every company is legally obligated to keep records of correspondence for 5 years. FaxFX does this for you at no additional cost. You do not have to worry about valuable documents being lost, as archiving is done off-site. 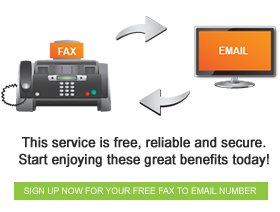 With our fax archiving service you will be able to save your faxes, and instantly download faxes from the last 90 days. We also have a support team on hand who will be able to send you any required faxes that are older than 90 days.